This talk will be a powerpoint introduction on how to undertake research in the archives as Kathy will take us through the steps she followed to unravel the history of Bokbaai on the West Coast. 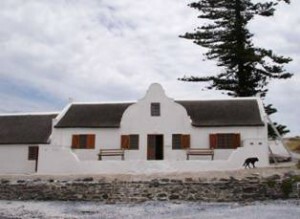 As the Vernacs will be visiting Bokbaai in November, Kathy’s lecture will be particularly relevant. Kathy Schulz, our speaker for the meeting has been researching in the Cape Town Archives and Deeds Office since 1989. Her interest in the South African land ownership saga started in Natal at the age of 18 when working for a legal firm of conveyancers as a Deeds researcher and junior secretary. She valued the history of the documents and continued researching throughout the dots and dashes of her life. Researching has been her full time career for the past twenty three years, operating as a consultant on many projects. 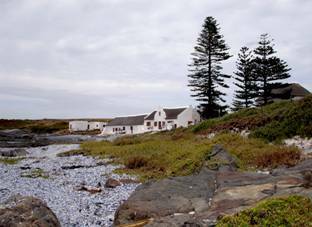 Kathy will be talking through her research methodology, using the farm Bokbaai also known as Buck Bay as an example. This long T-shaped house with a simple holbol gable and an attached outbuilding lies close to the sea. Although it was granted in 1827 to Laurens Johannes & Jacobus Petrus de Jong, the history is believed to stretch much further back. It is thought (cf. H.Fransen) that it was used during the VOC days when it was occupied by the supervisor of the lime kiln that operated from there from the early 18th century together with labourers’ quarters. VASSA talks are open to the public, and are free. See you there!